Arrow Spike is a volleyball tournament held by Ohio Theta every spring semester. People from campus and the surrounding community form groups of six that are entered into a bracket. There is a women's team bracket as well as a male team bracket. The top 3 teams get prizes and a bragging rights. It is a great way to get active while raising money for a cause! In 2018, we held our Arrow Spike in Eppler on campus and raised almost $500. 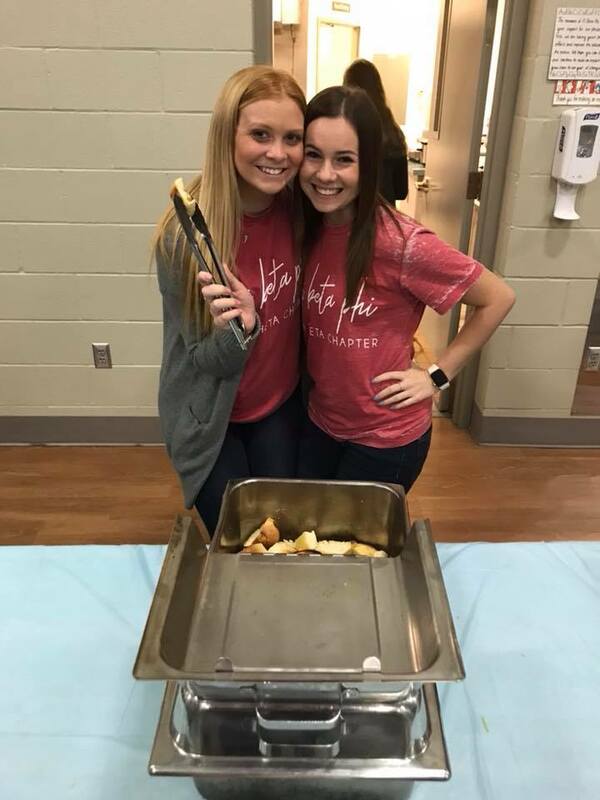 Pasta with Pi Phi is a homemade all-you-can-eat spaghetti dinner made and served by our chapter. We hold it at a local church during the week, so it is the perfect escape from the university’s food to receive a nice home cooked meal. 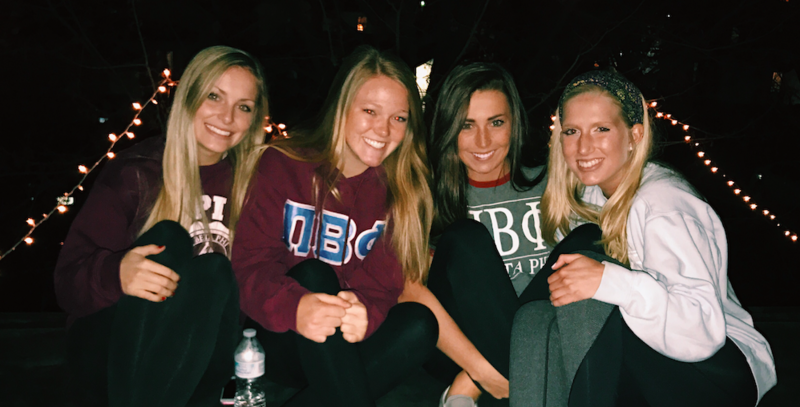 Last year, we held our Pasta with Pi Phi in St. Marks Church in the Fall Semester. We served homemade pasta, garlic bread, salad, and dessert! Pie a Pi Phi is one of our favorite philanthropies to put on! Typically, we stand in the Union Oval and invite people to get pied in the face...for a good cause! Pi Phi's get pied in the face as well by all their friends that walk by! It is easy for people to get to on the way to class and it costs very little to pie your favorite Pi Phi! Each semester, we send 10-15 girls to one of our Advisor's classroom in the area where they are assigned to a student. 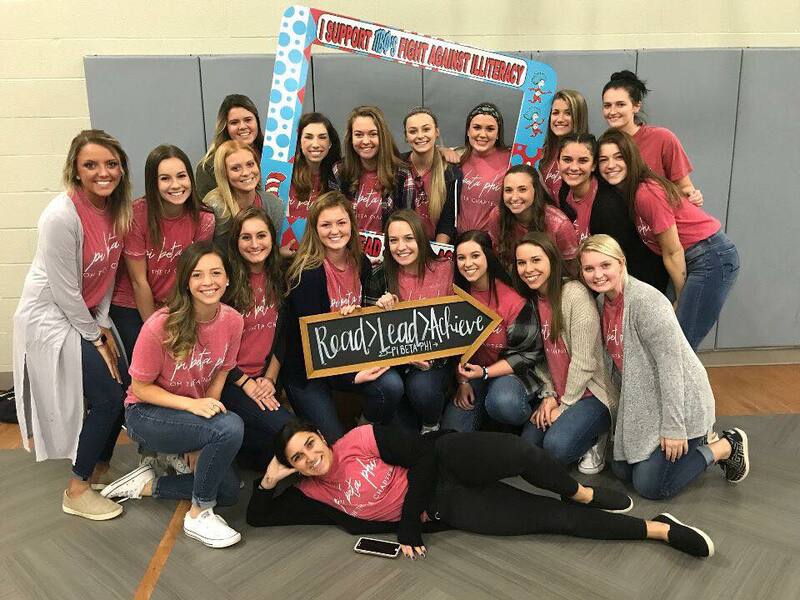 For the rest of the semester, our sisters help their kids read. It is amazing to see the difference of their reading level within weeks! 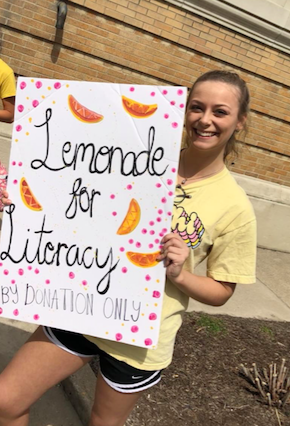 Each spring semester, Ohio Theta puts on Lemonade for Literacy! Although this is a smaller event, this is a chance to get the students on campus to be educated about illiteracy in America. We pass out lemonade to students with illiteracy facts taped on the cups for donations to Read > Lead > Achieve®.